After several months in market, reps with the Dilawri group confirm its one-of-a-kind, e-commerce website has seen positive growth across a number of key performance indicators. The platform, which offers full-disclosure, incentive-inclusive cash, lease and finance payment info on every piece of inventory in the dealership group’s portfolio, went live Dec. 1 last year as an effort to appeal to the next generation of consumers who accustomed to constant connectivity and up-front information. The site’s performance to date, confirms Dilawri national digital strategy manager Robert Karbaum, has been stellar with a number of early successes. “Compared to what we had previously, we have seen a huge lift in mobile engagement,” Karbaum said. According to year-over-year numbers comparing this September to last, total net users increased across all sites increased by 27 per cent while bounce percentage has decreased across all sites by 43 per cent. He also said the average session duration has grown 27 per cent as e-leads per dealership average has grown 60 per cent. 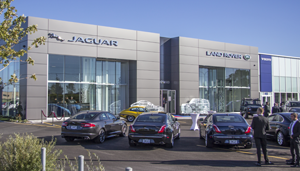 Perhaps most telling figure is the fact the national dealership sales average where the website was listed as the primary source by the consumer has gone up 111 per cent YoY in September. “Customers are staying longer, viewing more pages and completing more of our custom goals we set up on a variety of different things,” he added. The robust website and platform were built through an agreement with TRADER. Users can shop the Dilawri Group’s 58 dealerships and refine their efforts by province, new or used, year, make, colour, kilometres, features, body style and price. For shoppers thinking more about price than a specific model, the site allows for searches by monthly payments. When a vehicle is chosen, customers can use the Structure My Deal filter where they can add a trade value, personalize the payments, prequalify and apply for credit and reserve the car at the dealership with a deposit via PayPal. Pricing information includes all current OEM incentives. That data is updated automatically via a partnership with Chrome. Karbaum said the site is constantly being tweaked and some mapping has started as to what the next stage will be. And while it is early to discuss where the site till go in the mid-term, regular optimization continues on a nearly daily basis. “We do AB testing on the site constantly and can change things like shapes, colours and text and see where the conversion lies,” he said. When he spoke with Canadian AutoWorld, the digital team was testing the Structure My Deal button with substitutes Start My Process or Add To Cart. “One of the benefits of the scale of the company is that we can take five different Honda dealerships in five different provinces, change the button title with half getting Add to Cart and half getting Start My Process and see what the conversion rate is on that button and see if it makes sense to change it across the entire platform,” he said. Karbaum said Dilawri launched the site because of a combination of factors. While it is easy to claim that this is where the industry and society are headed, it is also key to acknowledge the customer experience aspect in the strategy.